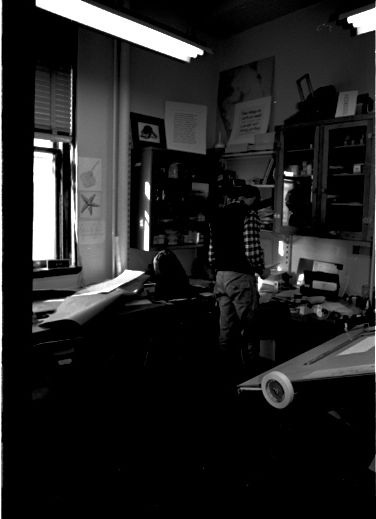 Black and white photo of a man standing in a classroom. 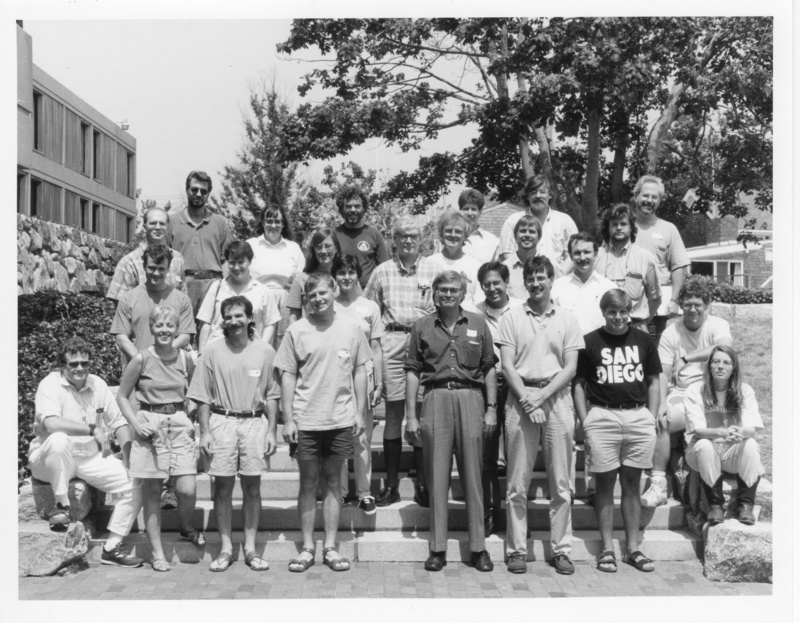 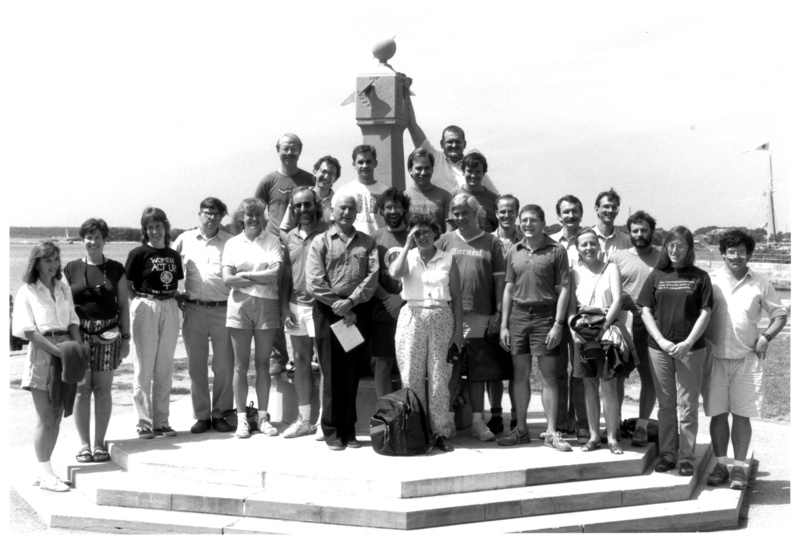 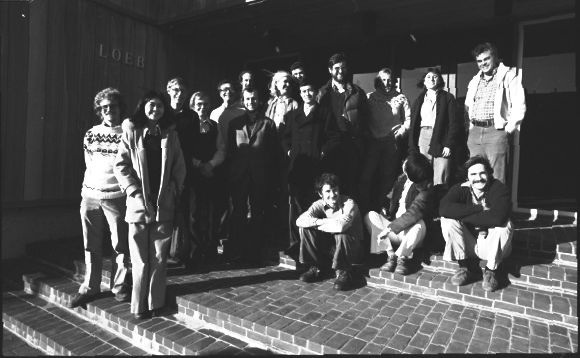 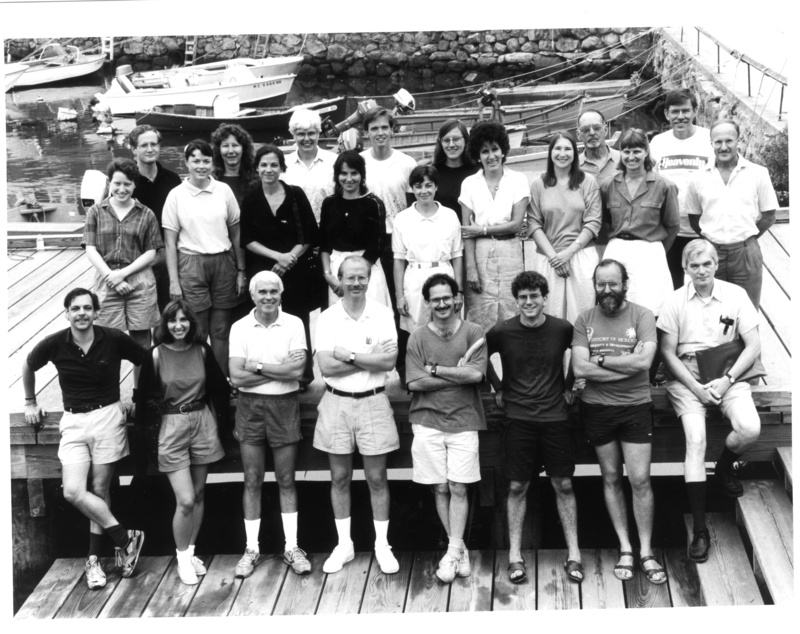 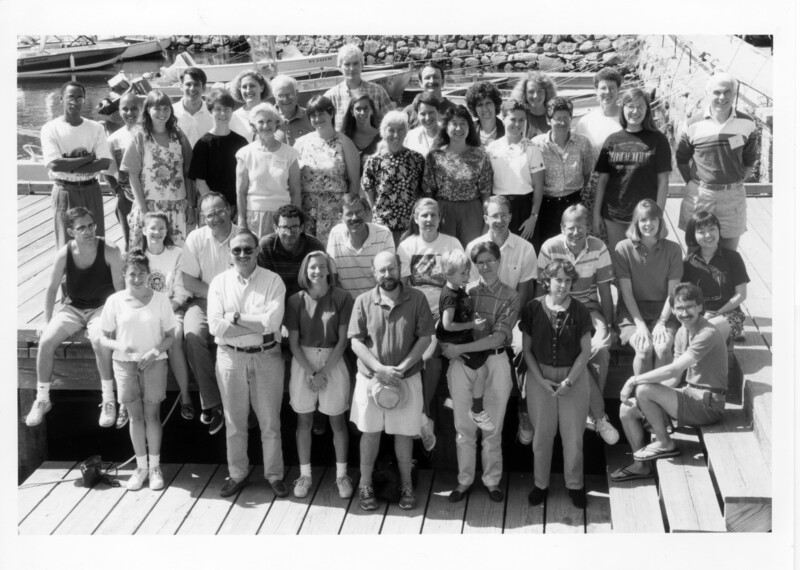 Black and white group photo of the High Resolution Electrophoretic Separation of Protein course in the fall of 1978 posing in front of the Loeb building. 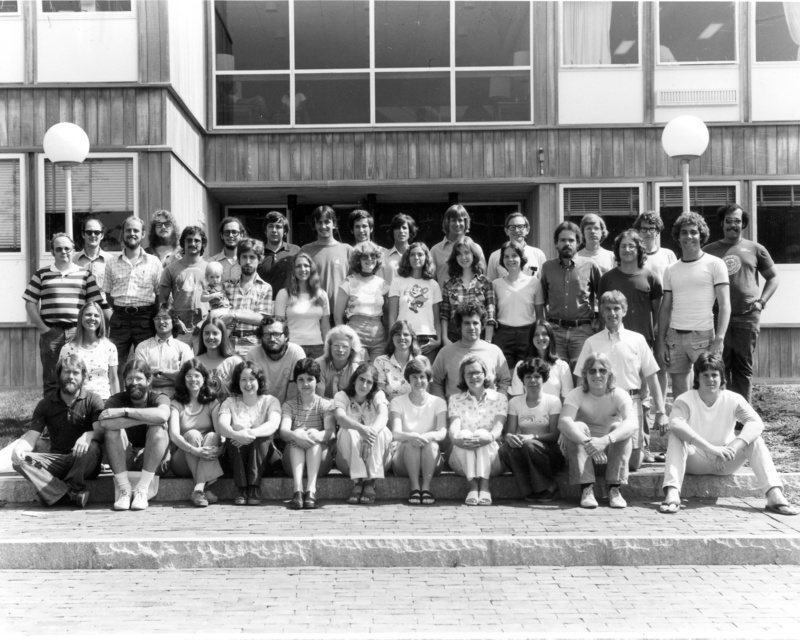 Seventeen people featured. 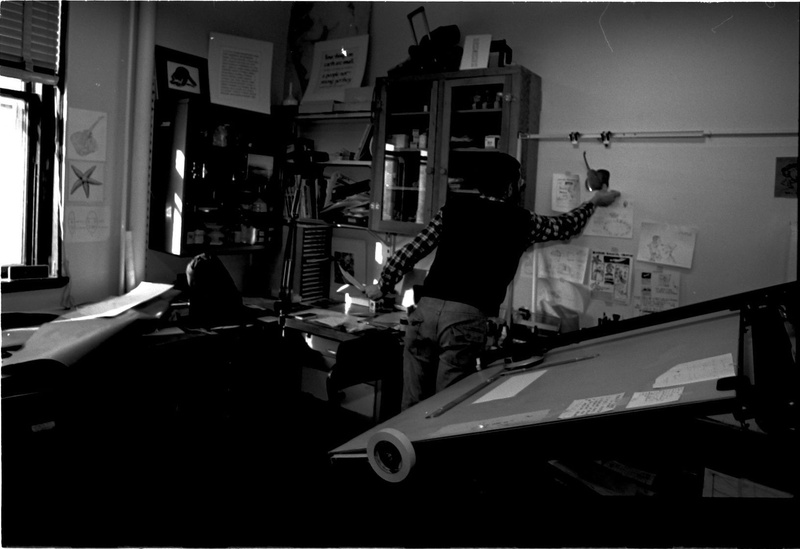 Black and white photo of a man pinning papers to a wall in a classroom.